Can a Three-Team Skirmish Open Pathway for Women’s IPL? After hosting a one-off women’s exhibition game in 2018, the BCCI has expanded the concept to a three-team event to be played alongside the IPL play-offs this year. In order to avoid logistical problems, these matches are likely to be held at the same venues as the play-offs, and will be played at 4pm before the men take the field at 8pm for the tournament’s marquee games. 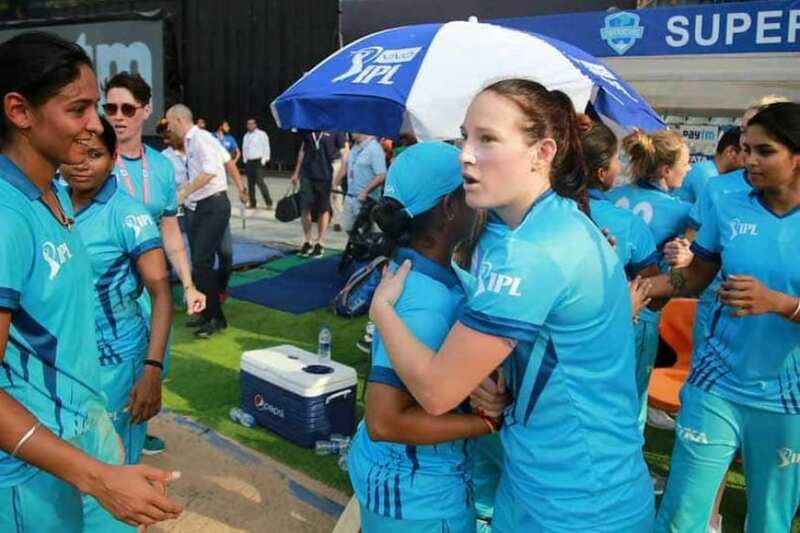 Last year, the one-off game had seen two teams - IPL Supernovas and IPL Trailblazers, led by Harmanpreet Kaur and Mithali Raj respectively - featuring star players such as Smriti Mandhana, Meg Lanning, Elysse Perry and Suzie Bates, take the field in front of a sparse crowd of about a thousand on a hot day at Mumbai. However, even though the game went down to the wire, with the Supernovas overhauling a modest 129 on the last ball of the game, the BCCI received a lot of flak for mismanagement - be it for hosting the game at 2pm on a working day, or only allowing spectators who had tickets for the first IPL Qualifier, to be played later in the day, to witness the match. With supporters not allowed to exit the stadium between the women’s game and the start of the IPL qualifier between Sunrisers Hyderabad and Chennai Super Kings either, it led to a situation where fans had to be confined within the Wankhede stadium for over nine and a half hours. The on-field action though was readily lapped up by the handful of spectators, who were mesmerised as Perry sprinted and dived to catch a ball at long-on, or sat in awe as their very own Harmanpreet sent back Mandhana with a perfectly timed leap after the Indian left-hander had played a lofted drive. Though the track dissuaded flamboyant strokes, a chance to witness players from all over the world had ignited excitement, and whetted the appetite to scale up the concept. Last year, five foreigners were allowed to play in the women’s team - as against four that a men’s IPL game permits. With three sides playing this year, spread over a week, a minimum of 18 Indian players will be required as each team plays each other once, with the top two then playing the final. At least 21 players will be selected for this event, and needless to say, the exposure that several of the younger players will receive will be a huge boost. The event in Mumbai last year allowed the likes of Jemimah Rodrigues to bat with Bates, which must have been a huge learning curve. By allowing more than 20 Indians a chance to mingle with players of similar pedigree, the impact will be amplified further. However, while the event itself is potentially exciting, the Board still has to tide over various obstacles before the dream of a women’s IPL turns to reality. For starters, both last year’s event and this year’s extravaganza seem to be feeding off the IPL craze - with both being staged alongside an IPL Qualifier, the excitement for which is often sky-high. Audiences will readily watch women stars if they are promised the blitzkrieg of an Andre Russell or a wondrous spell by Rashid Khan by the end of it. However, staging a stand-alone women’s event and gauging its popularity will be the primary test. Though attention to women’s cricket and cricketers is on the rise, with the first-ever standalone World T20 Cup last November being a resounding success, examining the willingness of the Indian market to lap up games day-after-day is still a work in progress. With no serious bidders interested in buying women’s teams either, the BCCI will first have to venture towards the women’s IPL with small steps, assess the mood around the tournament and then act accordingly. The other obstacle that the Board faces is the lack of a quality bench strength around India. In the last 5 years, only 15 players have made their ODI debut, out of which Devika Vaidya played ten international games (nine ODIs, one T20I) and Ravi Kalpana turned out for seven ODIs. Soni Yadav, Preeti Bose, Nuzhat Parween and Sukanya Parida played less than five games for India across formats and it is only Rodrigues, Shikha Pandey, Deepti Sharma, Pooja Vastrakar and Sushma Verma who have been able to play for a consistent period of time. All those following the sport will know that the side has been struggling to find solid batting options beyond Kaur, Mandhana, Mithali Raj and Rodrigues. The success of the side has revolved around their heroics, and while the spin department has fared relatively better, the pace attack sans Jhulan Goswami looks almost bare. Hence, unless there can be a production line of young talent rising the ranks, a women’s IPL does appear a distant dream. And this three-team hit-out may not achieve much other than creating temporary excitement around women’s cricket.